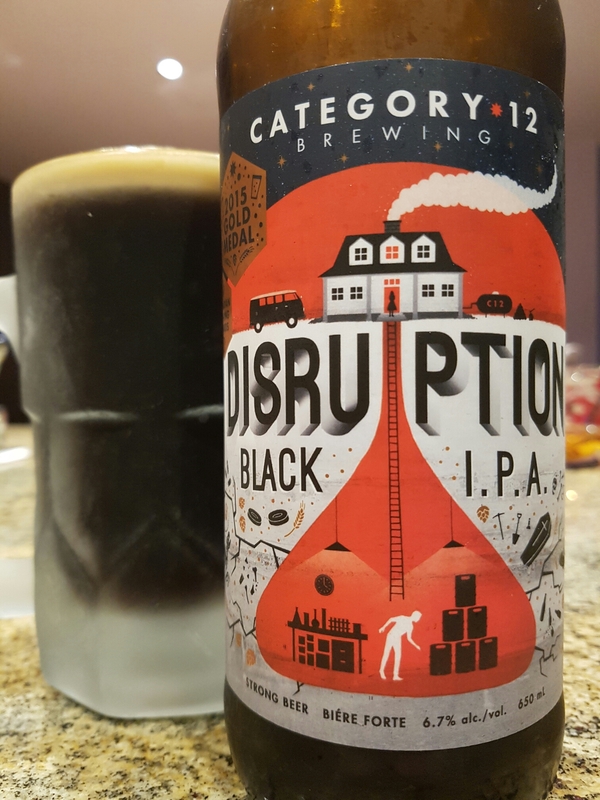 Disruption Black IPA – Category 12 Brewing (Victoria, BC, Canada) | Justintoxicated. 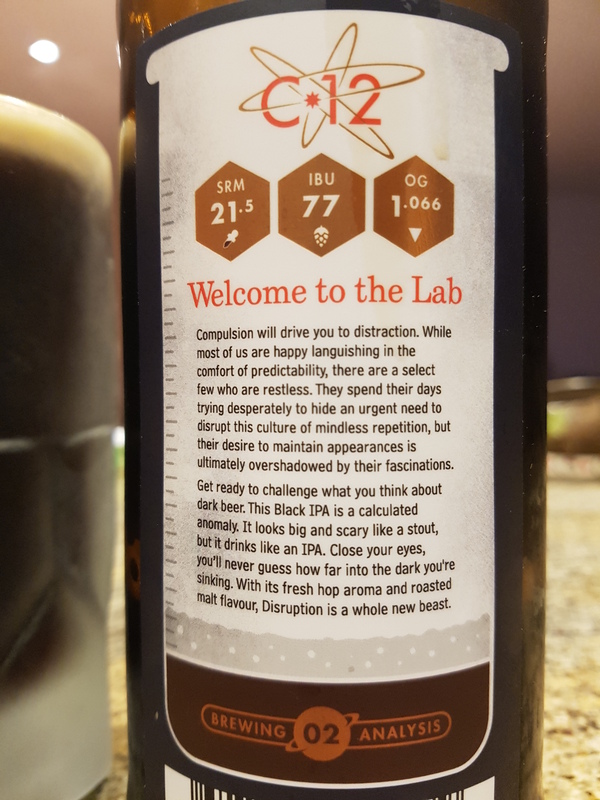 –this is the 3rd CDA ever that I’m trying, the first being P49-Black Christmas CDA [C], the second Tree Brewing Hop Head Black IPA [B]. It’s a relatively new style with ongoing debate about what to name the style – Black IPA? Cascadian Dark Ale? American-style India Dark Ale? Time will tell. Me, I prefer Black IPA. “Compulsion will drive you to distraction. While most of us are happy languishing in the comfort of predictability, there are a select few who are restless. They spend their days trying desperately to hide an urgent need to disrupt this culture of mindless repetition, but their desire to maintain appearances is ultimately overshadowed by their fascinations. Visual: Pours very dark brown (SRM=21.5) with small foamy head, 1mm spotty layer of retention, fast tight streams all around. Summary: Lots of big hopped flavour with a balanced roasted malt mouthfeel, though somewhat on the drier side. Very good transitions. Good write-up. I was blown away at the beer scene when I visited Victoria. Looking forward to following your blog! Thanks for your support! I haven’t had a chance to visit Victoria in ages but judging by the recent spurt of breweries popping up locally here in Vancouver and the amount of homegrown brews stocked on liquor store shelves, the scene in Victoria must be thriving as well. Cheers!